Hamilton’s experience has taught him a lot many things and the prominent one is to stay calm and push him when he gets knocked back. He is carrying a whole lot of positives in his upcoming battle. He is confident that he will make it to victory and even if he fails in a few races, he will still overtake to reach to the top. As far as Rosberg is concerned, he has enjoyed wins in Bahrain and Australia. But, Hamilton was also on for a series of wins in China as well as Bahrain as he won both races in 2014 and 2015. 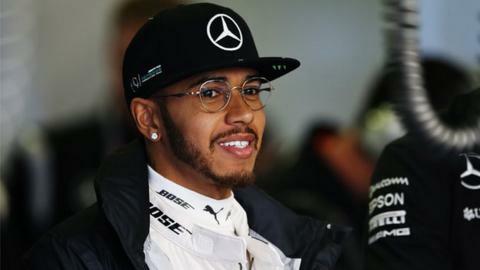 Lewis Hamilton and Rosberg are strong players, but can be pushed hard by Kimi Raikkonen and Sebastian Vettel of Ferrari team. And also they should play strongly against Daniil Kvyat and Daniel Ricciardo of Red Bull team. Looking at the previous wins of Hamilton and Rosberg, they are sure to play well against these players from Red Bull and Ferrari. The weather condition is expected to be good this weekend with temperatures around 18 degrees Celsius. The match is going to keep everyone’s fingers crossed.